If your occupation is testing motorcycles there’s a certain measure of accepted risk that comes with the job. When cornering ABS (C-ABS) arrived a couple years ago, the general consensus among the motojournos was, Hey that’s awesome, we’ll take your word for it working as described, because no matter how professional we try to be, grabbing a fistful of front brake mid-corner to evaluate this new technology is a line few were willing to cross. Just thinking of the action conjures images of impacting asphalt at a rate approaching lightspeed. Attending the International Driver & Rider Training Symposium provided Kevin Duke and I the opportunity to safely explore C-ABS and all the mid-corner braking performance the technology promises to deliver. The result? Confirmation that we were not being lied to, and an elevated respect for the engineers and test riders who perfect this technology prior to making it available to OEMs for inclusion on the latest and greatest two-wheelers. 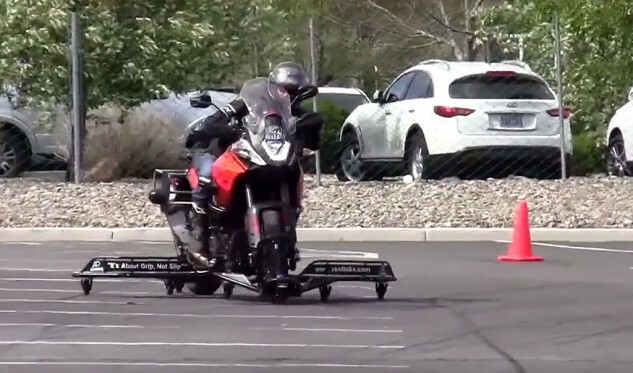 Demonstrated here with a Honda CRF250L outfitted with Sidbike outriggers, falling is next to impossible, at least at parking-lot speeds. With this in mind, we moved on to the KTM Adventure and began testing C-ABS and traction control technologies switched on and off. The safety benefits of both technologies was immediately obvious. With a KTM 1190 Adventure outfitted with Cedergrens’ Skidbike contraption, Duke and I set to the task of crashing. Repeatedly, we failed. Grabbing a fistful of brakes while leaned over with the C-ABS functioning resulted with a rapidly decelerating motorcycle, and – once the initial I-shouldn’t-be-doing-this gag reflex was muted – no drama. Switching off C-ABS and replicating the act resulted as you’d expect, with the front wheel washing away, but minus the crash due to Skidbike’s outriggers catching our falls. As we experimented with stabbing the front brakes, as well as applying continually more brake pressure in a series of front braking threshold tests, C-ABS kept the front wheel from locking, allowing for controllable deceleration when a motorcycle might otherwise tend to stand up and go straight instead of maintaining lean angle and continuing its cornering arc. We were riding in a controlled area, but the advantages are obvious for any street rider who might, for example, get too hot into a decreasing-radius turn, or encounters an object mid-corner that demands avoidance. Knowing that you can, if required, apply a substantial amount of cornering braking force without fear of crashing is a huge mental benefit. 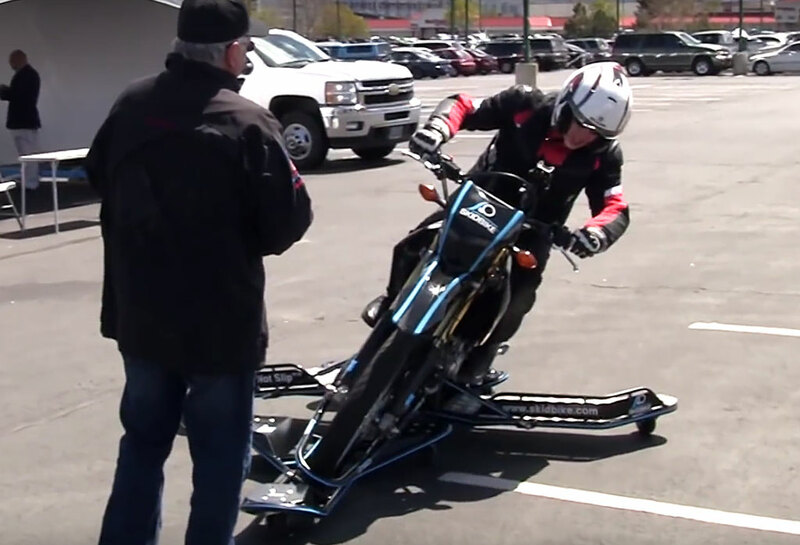 Skidbike is like Disneyland for motorcyclists – do whatever you want without fear of personal risk. And the best part, no lines! With the help of Skidbike, Duke and I were also astounded to learn just how much brake pressure the front tire would absorb before washing away when the C-ABS was turned off. “Riding on a not particularly grippy parking-lot surface, my mind half melted at the amount of braking force that could be applied to a leaned-over front tire before it lost grip and tucked,” says Duke. 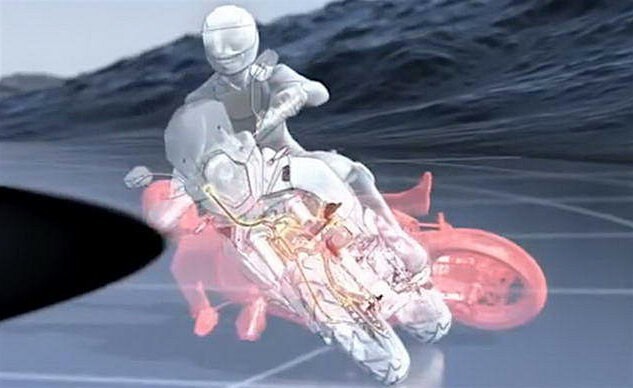 Behind C-ABS and the myriad of other electronic rider aids are two German companies, Bosch and Continental. Both are engaged in the development of these technologies that, oftentimes, only differ on the outside by way of each company’s naming convention. The end result, though, is an increasing arsenal of motorcycle electronics meant to benefit motorcyclists from Adventure-Tourists to trackday speed junkies. Behold the IMU, the little device driving the current trend in electronic motorcycle rider aids. 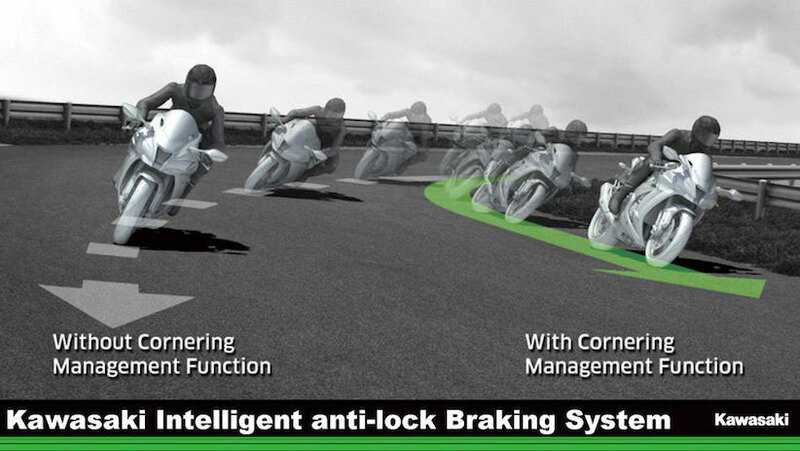 Cornering ABS – or Optimized Curve Braking (oCB) as Continental calls it – is realized by way of each company’s Inertial Measurement Unit (IMU), a phrase you’ve most likely encountered numerous times in various bike review articles. The IMU measures roll and yaw rates, lateral, longitudinal, and vertical acceleration rates, and – with the help of a microcontroller, wheel-speed sensors and other motorcycle-specific parameters – calculates lean and pitch angles. These measurements contribute to technologies such as traction control, launch control, wheelie control, hill-hold start, and accident detection. When combined with another technology such as ABS, the outcome is C-ABS and/or oCB. 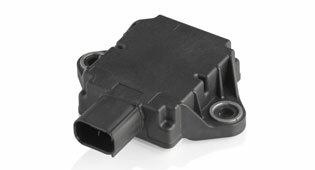 Presently, C-ABS/oCB are part of larger systems Bosch calls Motorcycle Stability Control), and Continental calls Motorcycle Integral Brake (MIB). Both systems utilize the available information from the IMU, and, in conjunction with a microcontroller and other sensors, combine to create a holistic system including ABS, C-ABS, TC, Launch and wheelie control, etc. The exact combination of available technologies are optional to needs of the OEM and the particular bike which is receiving the technology. More often than not you’ll hear of these technologies disguised by manufacturer-branded identities, such as Ducati Safety Pack (DSP) or Kawasaki Intelligent anti-lock Braking System (KIPS), but make no mistake, behind the acronyms you’ll likely find Bosch or Continental. And if you’re in the market for a new motorcycle, choosing one with some form of C-ABS or another is something we highly recommend.